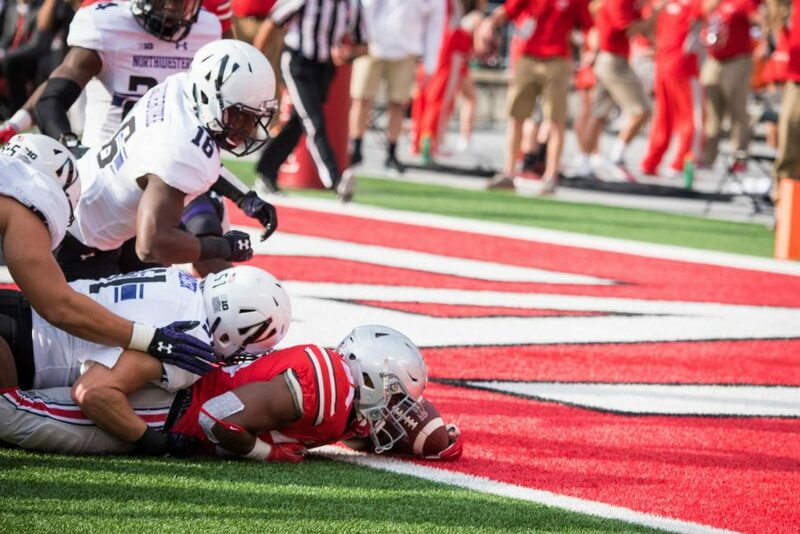 Ohio State sneaks into the end zone against Northwestern in 2016. The two teams will meet next week for the Big Ten title. COLUMBUS, Ohio — Northwestern finally knows its opponent in the Big Ten Championship game: the Ohio State Buckeyes. Despite entering as modest home underdogs, the No. 10 Buckeyes (11-1, 8-1 Big Ten), embarrassed No. 4 Michigan (10-2, 8-1) in an absurd 62-39 victory Saturday. Next on the table for the Big Ten East champions: The No. 19 Wildcats (7-4, 7-1), who have had the west division wrapped up for two weeks. It was a dominant performance from Ohio State quarterback Dwayne Haskins, who threw for 318 yards — 109 more than any team had thrown for against Michigan all year prior to Saturday. Along the way, he set the single-season Big Ten record for passing yards, surpassing eventual NFL passer Curtis Painter. He got help from freshman receiver Chris Olave, who had two receiving touchdowns and a game-changing punt block, and the much-maligned Ohio State run defense, which held the Wolverines to less than four yards per carry. It was also a milestone for Michigan defensive coordinator Don Brown. Brown’s defense hadn’t allowed 62 points since his Dartmouth Big Green allowed 66 to New Hampshire in 1986. NU will have its hands full with the Buckeyes’ elite receiving core. Olave, Parris Campbell (who had a 78-yard touchdown of his own Saturday), K.J. Hill and company dusted one of the best secondaries in the country for 318 yards through the air. The Cats, on the other hand, have struggled to contain speedy receiving threats since week one, when Purdue’s Rondale Moore scored two long touchdowns. Next week, instead of facing the team previously ranked No. 2 in Defensive S&P+, the Buckeyes will be up against a combination of the recently injured (Montre Hartage, Trae Williams, Jared McGee) or reserve (Cam Ruiz, Alonzo Mayo, Travis Whillock) defensive backs that comprise the NU secondary. The last time the Cats and Buckeyes clashed came in 2016 at Ohio Stadium, with J.T. Barrett leading the hosts to a 24-20 victory. NU famously kicked a field goal in the red zone with 3:36 remaining, trailing by a touchdown. It was the last time the Cats offense would see the field. Meyer, however, isn’t quite ready to compare the upcoming game in Indianapolis to that contest. A previous version of this story incorrectly spelled Parris Campbell’s name. The Daily regrets the error.